In a total of four micro-factories launched by Messe Frankfurt itself visitors will be able to get an idea of how integrated textile processing works and where micro-factories are already being used. One of those contemporary show highlights to be the ‘Smart Textiles Micro-Factory’, located in the walkway between Halls 4.1 and 5.1 of Frankfurt fairground, the Institute for Textile Technology (ITA) at the RWTH Aachen University, together with partners from industry and research, will be producing a ‘smart’ pillow which, with the application of integrated LEDs, provides a platform for all new ways of interaction. 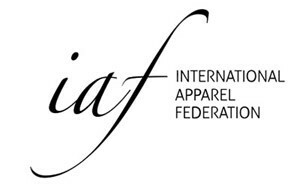 With this demonstration, the partners in the project will present an exemplary, fully connected manufacturing process for a smart textile from design to finished product. Prof. Thomas Gries ITA Director and holder of the Chair for Textile Machinery at the Institute for Textile Technology at RWTH Aachen explained: “As a matter of fact the Smart Textiles Micro-Factory will represent a double premiere: the operational implementation of an on-demand integrated manufacturing process and this a smart, in this conductive sewn end-product. 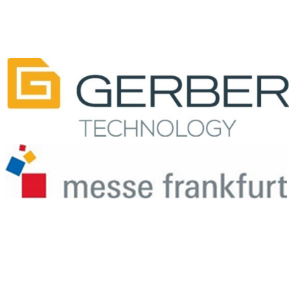 “With ITA Institute Messe Frankfurt succeeded to take the most experienced specialist for Microfactory developments and implementations on board”, said Yvonne Heinen-Foudeh, Gerber Technology’s Marketing Director for EMEA. 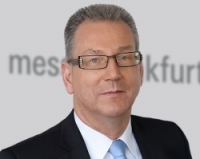 Michael Jänecke, responsible for Messe Frankfurt’s Brand Management Technical Textiles and Textile Processing.